My first visit to Japan, 40 years ago, was to the bustling metropolis of Tokyo. I was visiting a sibling and had a week there en route to Australia. Memories of mountains, tall buildings, concrete footpaths and well-suited men hurrying to work have stuck with me for all of those years. Not to mention seeing the thousands of people being packed into trains by pushers – men with broom-like sticks, literally pushing everyone into the train. This time around, I was visiting Hokkaido, the northernmost of Japan’s islands. It’s home to volcanoes, natural hot springs (onsen) and fantastic ski areas during winter. In eastern Hokkaido you’ll find the Shiretoko Peninsula. Derived from the Ainu (indigenous people of Japan) word sir etok, Shiretoko is a fitting name, meaning ‘a place where the earth protrudes’ or ‘the end of the earth’. 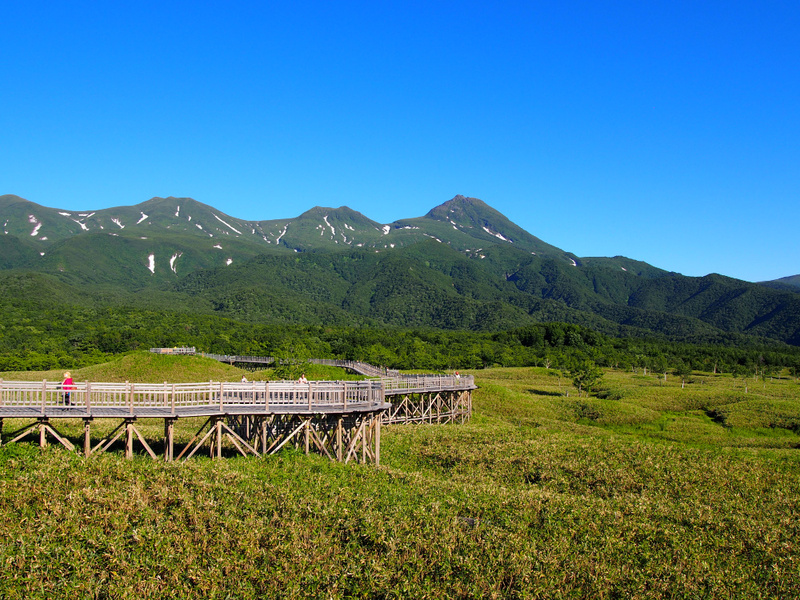 Shiretoko National Park, a Unesco World Heritage Site, is home to brown bears and the Shiretoko Five Lakes, formed long ago after an eruption at nearby Mt Io. They’re fed by underground springs, which means the water is crystal clear. It’s a totally unspoilt natural area that is jaw-dropping to say the least. A four-hour hike around the five lakes is well worth the sore legs experienced afterwards. This area is suitable for hiking by 60-pluses with no mobility issues. But those with mobility issues are also catered for, thanks to an 800-metre elevated wooden boardwalk. From here you can see one of the lakes, the stunning snow-capped mountains that surround the lakes and the Sea of Okhotsk. The boardwalk is free to use, wheelchair-friendly and ensures that there’s no damage to the fragile ecosystem. In wintertime, drift ice arrives at the Sea of Okhotsk from further north, and walking tours out onto the ice are conducted. 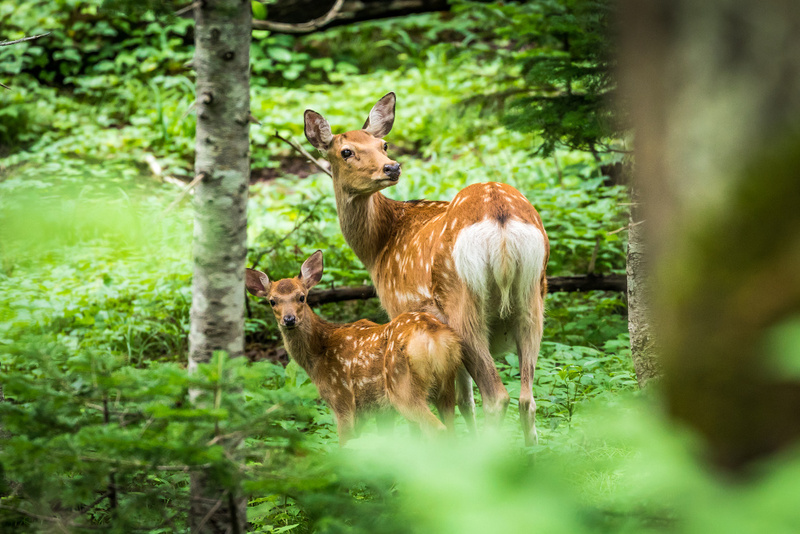 Another hike not to be missed is the Shiretoko National Park animal-watching tour. The four-hour hike through the forest of birch, Mongolian oak, ginkgo and cedar trees is amazing (although slightly more challenging and not for those with mobility issues). 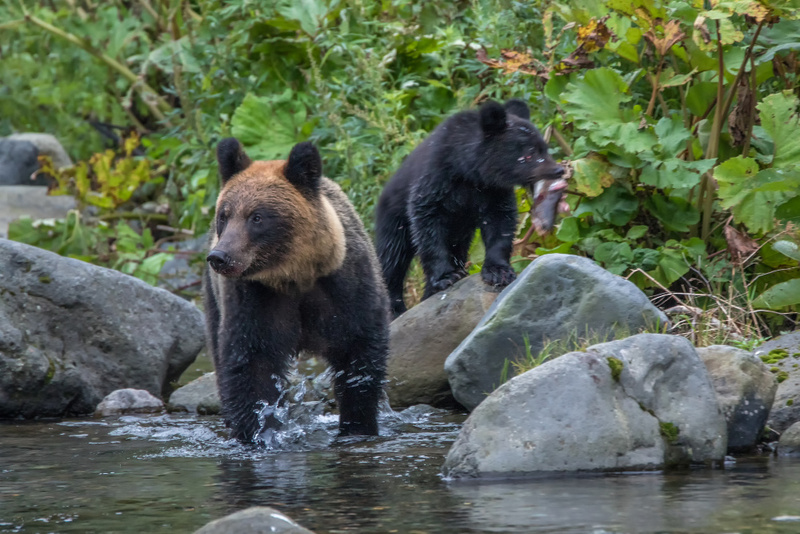 One is always aware that one is walking through bear territory, and the nature guides call out and clap to let the bears know they have visitors. Hikers are briefed on what to do in case they are confronted by a bear: stay calm, don’t run and retreat to where you started the hike. All well and good, but I had images of a 500 kilogram ball of brown fluff galloping towards me at 30 kilometres an hour and thought there was no way I could remain calm. In fact, I’m sure I would have passed out! Probably a good thing too, as bears are not interested in stationary bodies. I need not have worried though, as no bears were sighted. Which was a shame – as scary as they sound, I was secretly hoping to see a bear in the wild. Just not too close. But we encountered other animals in the park, including red fox and lots of sika deer. 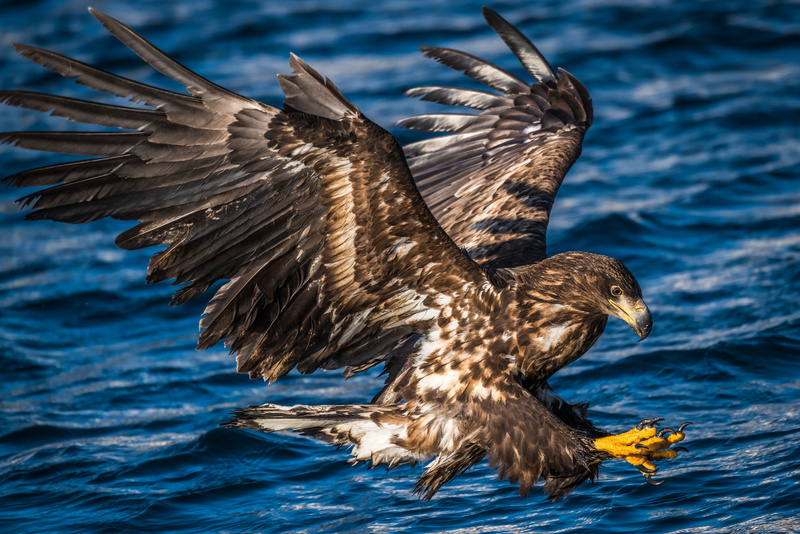 There are also many birds, including the Steller’s sea eagle, the white-tailed sea eagle and several species of woodpecker. The park is also home to the world’s largest owl, the Blakiston’s fish owl. Want to see Japan in utter luxury? Call us now on 1300 414 198 to book the Japan Grand Voyage on the Queen Elizabeth! Shiretoko is indeed a nature lover’s paradise: there are more than 50 species of mammal here and 280 kinds of birds. And let’s not forget the fish – during autumn, salmon run the rivers in Shiretoko. They run up-river to spawn and then die. Salmon-watching is suitable for limited mobility visitors, while salmon-eating is suitable for everyone. It’s a very popular dish in Shiretoko, and clams are harvested and enjoyed as well. A good base for all of these activities is the Kiki Shiretoko Natural Resort in the small town of Utoro. The hotel has many onsen where hot-spring bathing can be enjoyed. The water from the thermals is full of nutrients and excellent for soaking in after a long hike. 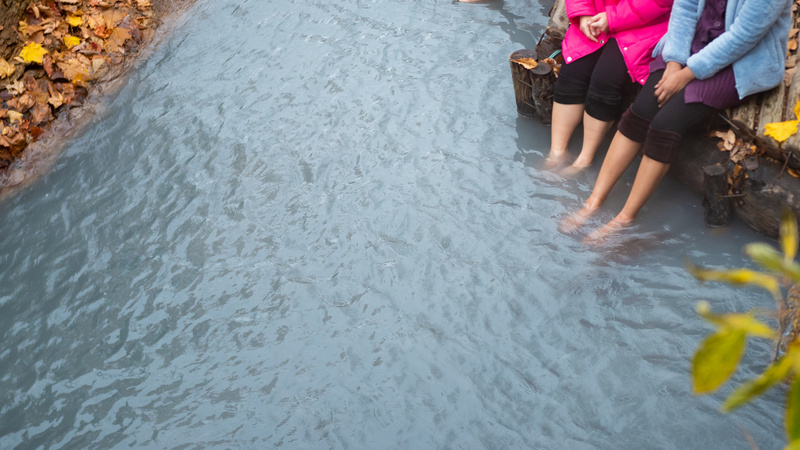 There are hundreds of onsen dotted about Hokkaido, and most towns have a public foot bath as well, which can be a godsend for those with sore feet. A visit to an izakaya (Japanese pub) is well worth the time as well. There’s an array of different foods on offer, and the coziness of the izakaya makes for a memorable time. The people of Japan are some of the most friendly , respectful people I have ever encountered. They will go out of their way to please and always with a smile. I would recommend an English-speaking guide if you’re visiting Hokkaido, as English is not widely spoken and the guides are experts in all of the tours and eating experiences that tourists are looking for. During my time in Hokkaido I didn’t see any other Australian tourist. I asked myself why. The answer, I think, is that like myself, most Australians are unaware of this beautiful and intriguing destination.